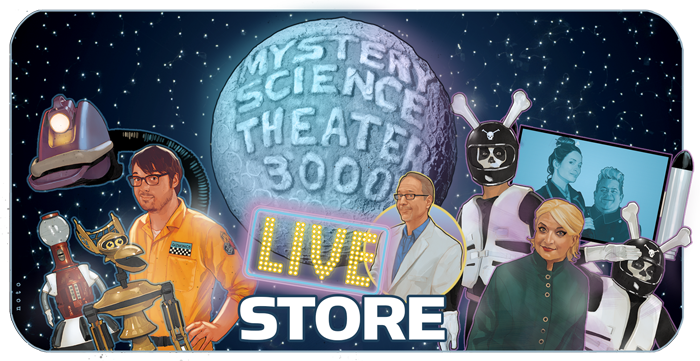 Announcing the grand opening of the MST3K Live Tour Merchandise Online Store! For those of you who couldn’t get your hands on MST3K Live Tour merchandise (or couldn’t get enough), we have the answer. The MST3K Live Tour Merch Online Store is here, just in time for the holidays.